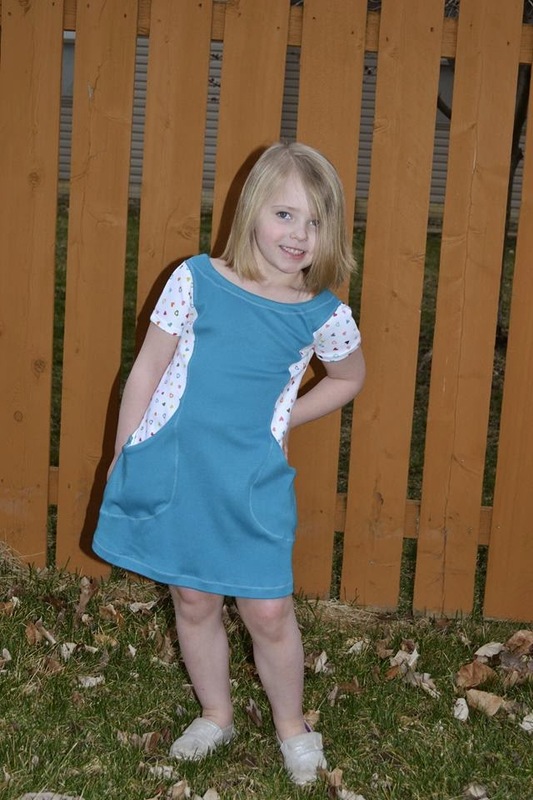 Tami from Love Notion Sewing just released her second pattern and it is so cute and original. This is the Trendy Tunic and you can purchase it on Craftsy or Etsy. It is supposed to be tunic length, but since Abby is between sizes I made her the 6 and it came out more of a dress length. I actually really love this length and Abby loves dresses so it's a win for everyone. This pattern pieced together perfectly and I was able to sew it on my serger in about an hour from start to finish. The next one will probably be even shorter. 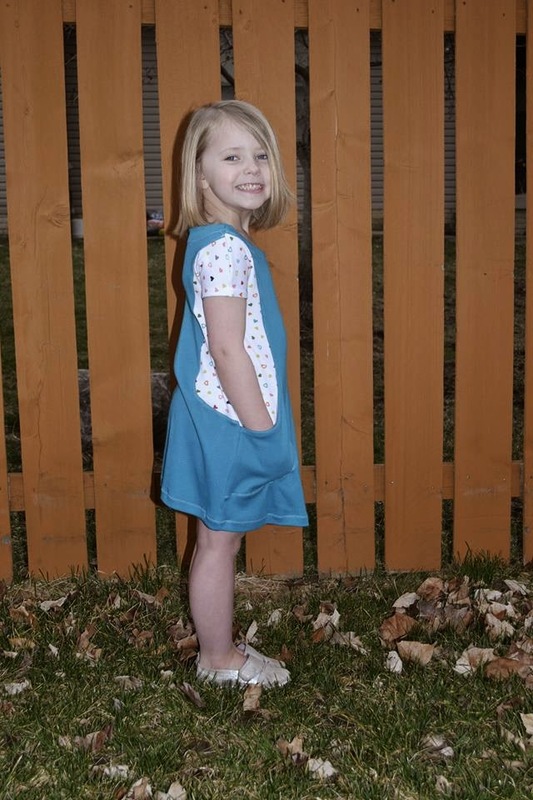 My girls are all about pockets in their clothes and the construction of these is just genius! Abby was feeling extra sassy during pictures so there weren't too many that I could use to show the actual design. :) If you are looking for a quick comfortable sew this is definitely the pattern for you. You make the most adorable outfits. Abby looks ADORABLE. Love this dress and how the contrasting patterned fabric is under the arms. Really well done! This pattern is fantastic. Thank you.